For other uses, see Medan (disambiguation). According to the diary of a Portuguese merchant in the early 16th century, the name of Medan was actually derived from Tamil word Maidhan, also known as Maidhāṉam (Tamil: மைதானம்), that means Ground, adopted from Malay language. One of the Karo-Indonesia dictionaries written by Darwin Prinst SH published in 2002 stated that Medan could also be defined as "recover" or "be better". The area in and around Medan city, Deli and Langkat Regency was the location of ancient Kingdom of Aru (Haru). The kingdom was established by Karo people and flourished between 13th to 16th century. Several archaeological sites around Medan are connected to the Kingdom of Aru, including Kota Rentang in Hamparan Perak area, Deli Serdang Regency, the Kota Cina archaeological site in Medan Marelan, and Benteng Putri Hijau, a fort ruin in Deli Tua, Namorambe, Deli Serdang Regency. Medan started as a village called Kampung Medan (Medan Village). Kampung Medan was founded by Guru Patimpus Sembiring Pelawi, a Karonese man who came from the Karo Land. Before he became a Muslim, he was a Pemena follower. Following the history of "trombo" and Hamparan Perak (XII Kuta), Guru Patimpus studied Islam from Datuk Kota Bangun. At the time, Guru Patimpus and his people wanted to meet Datuk Kota Bangun. Not only did they want to meet Datuk Kota Bangun, they also wanted to compete with him for power. Whenever Guru Patimpus went to Kota Bangun, he always passes Pulo Brayan. In Pulo Brayan, Guru Patimpus fell in love with the Princess of Pulo Brayan. Eventually, he married the princess and had two sons, Kolok and Kecik. The married couple then turned the forest area in confluence between Deli River and Babura River into a small village, naming it Kampung Medan (lit. Medan Village). The eventful day has been marked as the date of Medan's anniversary, 1 July 1590. In his days, Guru Patimpus is known to be a forward-thinking person. This was proved by sending their children to study and read the Qur'an to Datuk Kota Bangun and then sent them to Aceh to deepen their knowledge on Islam. In early days, the natives called the area as the Land of Deli (Indonesian: Tanah Deli), it starts from Ular River to the Wampu River in Langkat while the Deli Sultanate in power at the time of his territory does not cover the area between the two rivers. Statement confirming that the Kampung Medan is a description H. Muhammad Said quoting through the book Deli: In Woord en Beeld written by N. ten Cate. The statement said that early Kampung Medan was a fortress which was composed of two layers of roundabout-shaped walls at a confluence between two rivers namely Deli and Babura rivers. The Administrateur house is located across the river from the Kampung Medan. The location of Kampung Medan is in the modern-day location of the Wisma Benteng building now and the Administrateur house is in present-day PTP IX Deli Tobacco building. In the 16th century there was a kingdom called Aru, with its center located where Deli Tua is now (south of Medan). In 1612 the Acehnese Sultan Iskandar Muda defeated Aru. The Acehnese appointed Hisyamsudin (later he changed his name to "Tuanku Gocah Pahlawan"), titled as Laksamana Kuda Bintan as their representative in this kingdom of East Sumatra. In 1632 Aceh established the Deli Sultanate (Jawi: کسلطانن دلي) and Gocah Pahlawan became the first king. Gocah Pahlawan opens a new land in Sungai Lalang and Percut. As Mayor and Deputy of Sultan of Aceh as well as by utilizing the large size of Aceh Empire, Gocah Pahlawan managed to expand his territory, thereby covering Percut Sei Tuan and Medan Deli district now. He also founded the villages of Gunung Barus, Sampali, Kota Bangun, Pulo Brayan, Kota Jawa, Kota Rengas and Sigara-gara. He died in 1669 and was followed by his son "Tuangku Panglima Perunggit" who moved the center of the kingdom to Labuhan Deli, which then proclaimed the independence of Deli Sultanate from Aceh Sultanate in 1669, with its capital in Medan Labuhan, approximately 15 km from the city center now. During the reign of the third king, "Tuanku Panglima Padrap" (ruled 1698–1728), the kingdom was moved to Pulo Brayan due to floods. The fourth king, "Tuanku Panglima Pasutan" (ruled between 1728–1761) organized the kingdom in four tribes, each led by a Datuk (a Malay title for high ranking persons). During the time of the fifth king, "Tuanku Panglima Gandar Wahib" (ruled 1761–1805) the Datuks increased their power. The sixth ruler was "Sultan Amaluddin Mengedar Alam" (ruled 1805–1850). During his years the Siak Sultanate became a stronger influence in Deli than the Acehnese Sultanate, and the ruler was given the title: Sultan. The seventh ruler was "Sultan Osman Perkasa Alam" (ruled 1850 to 1858), during his leadership the Deli Sultanate became autonomous. The eighth ruler, "Sultan Mahmud Al Rasyid Perkasa Alam" (ruled 1858–1873) started the relationship with the Dutch, a relationship that became rather intimate. The next ruler was "Sultan Ma'mun Al Rashid Perkasa Alamyah", who ruled from 1873 to 1924 when the tobacco trade expanded. He moved the kingdom to Medan and finished the construction of the Maimun Palace in 1888. He also built the grand mosque of Al Ma'shun which is commonly known as (Great Mosque of Medan) now in 1907, he became known as the builder of early Medan in cooperation with the Dutch and "Tjong Yong Hian" and Tjong A Fie, two Chinese businessmen brothers and also Kapitans who built a large plantation business in Deli. They all brought Medan-Deli as new development area including business centers such as banks, offices, plantation areas, housing, railroad and a port. The tenth "Sultan Amaluddin Al Sani Perkasa Alamsyah" (ruled 1924–1945) expanded harbors, with commerce increased during his period. At the declaration of Indonesian Independence, the Sultan recognized the sovereignty of the republic and was in return given an important function as administrator of Deli-Malay traditions and culture. The Sultanate of Deli still exists until this day, even though the administrative powers has been replaced with elected Mayors. The current sultan is "Sultan Mahmud Lamanjiji Perkasa Alam", the 14th sultan, (ruled since 2005). Coronated at the age of eight, he is the youngest sultan that has been coronated in the Deli Sultanate history. The opening of the Suez Canal in 1869 meant strongly intensified traffic between Europe and the Far East. The Dutch started the shipping company Stoomvaart Maatschappij Nederland that quickly expanded to 43 steamships in 1877. The English, however, had already 3,000 ships in those days. A journey from Europe to Indonesia took approximately 40 days. Genoa, Italy became the new transit harbor for passenger ships after the opening of the Gotthard Tunnel in Switzerland. The journey was reduced to 23 days and 20 hours to Batavia (Jakarta). The ships also became bigger and more comfortable. This resulted in an increase in cruise ships carrying predominantly white Europeans coming to Dutch East Indies as tourists for a tour of the region, including Medan as the largest tobacco plantation in Dutch East Indies at that time. To accommodate the tourists, it was deemed necessary to have European-class hotels. Therefore, in 1898, a Dutch businessman named Aeint Herman de Boer built Hotel de Boer in the northwest of the Esplanade (now Lapangan Merdeka Medan). Exports were very dependent on British shipping in 1890 when Sabang became a bunker harbor. Belawan got its harbor in 1923. The shipping company Koninklijke Paketvaart Maatschappij (KPM) was established for the purpose of shipping valuable Deli Company tobacco, which was shipped to Batavia. This cargo was almost as valuable and stringent rules regulated its handling. It was strictly forbidden to stow anything on top of the tobacco and coolies were not even to walk on it when they worked in the hatches. Cleaning of roads in Medan was, until 1912, done by prisoners. After that free coolies got the job. In 1917 the authorities started to use horse-drawn carts, equipped with brooms for the cleaning. In 1928 the horse-drawn carts were replaced by motorized vehicles. The first newspaper was the ‘Deli Courant’, established in 1885 although it was not a daily publication. In 1898, Joseph Hallermann, a German, established the daily ‘De Sumatra Post’, which survived until 1939. There were planters in Medan from many countries: England, the Netherlands, USA, France, Germany, Poland, and Switzerland. Many of them became very rich and led affluent lifestyles. Medan became known as the Paris of Sumatra. Up till today, the area in downtown where the old airport is located is called Polonia, a name given by a Polish aristocrat who once owned a plantation here. 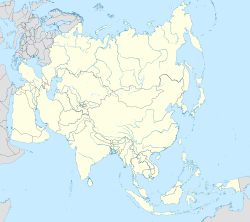 One area of Medan is still called Helvetia (the old name of Switzerland). This name was given by a plantation owner from Switzerland. Medan did not develop rapidly until the 1860s, when the Dutch authorities began to release new land for tobacco plantations. Jacob Nienhuys, Van der Falk, and Elliot, who were Dutch tobacco merchants, pioneered the opening of the tobacco plantation in Deli. Nienhuys' previous tobacco business in Java moved to Deli after an invitation by an Arab from Surabaya named Said Abdullah Bilsagih, brother in law of the Deli Sultan Mahmud Perkasa Alam. Initially Nienhuys cultivated tobacco on 4,000 hectares of land in Tanjong Spassi, near Labuhan, owned by the Sultan of Deli. On March 1864, Nienhuys sent samples of his crop of tobacco to Rotterdam, Netherlands to test its quality. Apparently, the tobacco leaves were considered high quality for cigar materials. Hence Deli's name rose as a producer of the best cigar wrappers for Europeans. Coat of arms of Medan during colonial era, showing tobacco plant as the charge. The tobacco treaty was signed by the Sultan of Deli and the Dutch in 1865. After two years, Nienhuys along with Jannsen, P.W. Clemen, and Cremer founded the company De Deli Maatschappij abbreviated Deli Mij in Labuhan. In 1869, Nienhuys moved the head office of Deli Mij to Kampung Medan. The new office was built on the confluence of Deli and Babura river, precisely at the office of PTPN II (ex PTPN IX) now. With the transfer of the office, Medan quickly became the center of government activity and trade, as well as area with the most dominant development in western Indonesia. The rapid development of the economy transformed Deli into a major trading center nicknamed het land dollar aka the land of the money. Then, they opened up new plantations in the Martubung and Sunggal areas in 1869, as well in Sungai Beras and Klumpang in 1875, bringing the total to 22 plantation companies in the year 1874. Given the activities of the tobacco trade was already very broad and growing, Kampung Medan became increasingly crowded and then developed with a name that is known as the Medan-Deli. 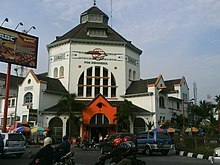 The development of Medan-Deli as a trading center was followed by it becoming a center of government. In 1879, Capital Assistant of Deli Resident moved from Labuhan to Medan. On 1 March 1887, the capital of the Resident of East Sumatra also moved from Bengkalis to Medan Deli Sultanate Palace which was originally located in Kampung Bahari (Labuhan) and Pulo Brayan also moved with the completion of Maimoon Palace on 18 May 1891, and thus the Capital of Deli officially moved to Medan. In 1915, the Residency of East Sumatra enhanced its status to Gubernermen. In 1918 the city of Medan officially became Gemeente (Municipal) with Mayor Baron Daniël Mackay. Based on the "Acte van Schenking" (Grant Deed) No. 97 Notary J.M. de-Hondt Junior, dated November 30, 1918, the Sultan of Deli handed over the land of Medan-Deli to the Gemeente, thus officially becoming the region under the direct rule of the Dutch East Indies. In the early days of this township, Medan still consists of four villages, namely Kampung Kesawan, Kampung Sungai Rengas, Kampung Petisah Hulu and Kampung Petisah Hilir. In 1918 there were 43,826 residents of Medan, made up of 409 Europeans, 35,009 Native Indonesians, 8,269 Chinese and 139 East foreign such as Indians. Since then the Medan developed more rapidly. Various facilities are built. Some of these include the Office of Experiment Stations named AVROS in Kampung Baru (1919), now RISPA, the railway of Pangkalan Brandan – Besitang (1919), Tirtanadi Water Tower (1908), American Consulate (1919), Teacher school on Jl. 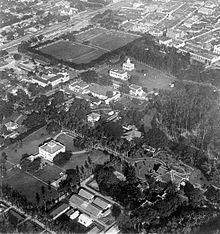 H.M. Yamin now (1923), Mingguan Soematra (1924), Pool Association Medan (1924), Central Market (Grote Markt/Toa Pa Sat or 大巴刹), St. Elizabeth Hospital, Eye Hospital and Kebun Bunga Sports field (1929). British East Indian troops lands in East Sumatra to help the Dutch for end the Japanese occupation in Medan. The Japanese invasion began in 1942 throughout Indonesia. 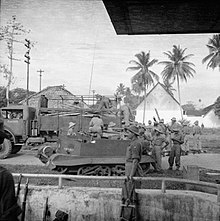 The Japanese troops who landed in Sumatra were XXV Army soldiers who were based in Shonanto which is currently known as Singapore, they landed on the 11 and 12 March 1942. The force was made up of Imperial Guard Division coupled with the 18th Division led by Lieutenant General Nishimura. They landed in four locations: Sabang, Ulele, Kuala Bugak (near Perlak, Aceh now) and Tanjung Tiram (Batubara region now). The Tanjung Tiram troops were the soldiers who went to the city of Medan, they rode bikes that they bought from the locals, and the Japanese troops occupied Medan until 1945. After the Independence, the central government began to establish RIS (United States of Indonesia) In 1949, and Medan became the capital of state of East Sumatra with Tengku Mansur as State Mayor. After the RIS era ended, Medan officially became the capital of North Sumatra. The city development remained stagnant until the 1970s, when big developments, especially palm oil and rubber plantation company headquarters, making Medan the busiest city outside Java. The big migration program brought a lot of Javanese and the Bataks people began to settle in the city as many people from Java and rural part of the province sought jobs. Medan also has experienced the dark history of May 1998 riot which occurs 4th to 8th of the month due to 1997 Asian financial crisis, it was firstly began when demonstrating around many campuses for nearly two months between students clashing with security officials that ends a death of a students, as the next day, then the mobs become bigger which including civils that began to targeting and attacking business and trading sector that lead into a racial riot, many shophouses and vehicles burned and looted at several roads around the city which is majority owned by the Chinese residents, as a result, curfew was imposed for more than two weeks until the peace returned. Currently the city has returned to glow, as the city hit the one million population in 1998 and 2 million in 2010, and city has begun to be referred as a metropolis around 2006. Since 2010, there are many new rapid developments happening. These include new roads, flyover, underpass, mass transportation, new businesses and urban areas, malls, vertical housings. The development of public facilities and infrastructure are also intensively conducted. Although there is a number of broken roads and potholes still existing, this has been greatly decreased. Medan faces many classic constraints that modernising and growing cities will encounter. One of them is the traffic congestion occurring due to the rapid rate at which the number of vehicles increases outpaces the development of adequate road facilities. This has become a new serious issue for the government and citizens around the city. Medan was governed by mayor Dr. H. Abdillah Ak, MBA in 2005–2010. However, Abdillah and his vice mayor were caught by Indonesian Corruption Eradication Commission officials in 2008. Syamsul Arifin, the Governor of North Sumatra Province, then appointed Affifudin Lubis to become the acting mayor. In 2009, Affifudin Lubis resigned from his position and the Governor then appointed Rahudman Harahap as a replacement. Because Rahudman wanted to be a candidate in the 2010 mayor election, he too resigned from the office. Left with no choice, Syamsul Arifin himself became the acting mayor. In the 2010 mayor election, Rahudman Harahap won the election. However, Rahudman was then arrested due to corruption which resulted in his deputy Dzulmi Eldin officially becoming the acting mayor. In February 2016, Dzulmi won the election and became the mayor for five years (2016-2021). Based on the map, the city are centralised around Medan Petisah, Medan Baru, Medan Polonia, Medan Maimun, Medan Kota, and West Medan which is act as city center. Medan Labuhan is one of the largest districts by area other than Medan Belawan and Medan Marelan which is lies on the northern part of the city. Medan Tuntungan serves as the gateway to Karoland regency, Medan Helvetia to Binjai City and Langkat and Medan Amplas to Tebing Tinggi and Pematang Siantar. The city is Indonesia's fourth most populous after Jakarta, Surabaya, and Bandung, as well as Indonesia's largest city outside Java island. The population has risen from 568,000 in 1968 fourfold to 2.1 million in 2010. Much of the population lies outside its city limits, especially in Deli Serdang Regency. 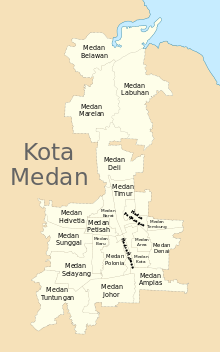 The official Metropolitan area (Wilayah Metropolitan Medan) was inhabited by 4,144,583 people in 2010. The city has diverse communities, reflected by its history. The Bataks are one of the major ethnic groups in Medan; in fact there are three Batak subethnicities residing in the city including the Toba, Karo and Mandailing Bataks. The Karo people are the natives in Medan. Meanwhile, the Toba people were employed by the Dutch as workers in oil palm plantations. Lastly, the Mandailing people came in masses after the independence era to find better jobs. The Bataks reside throughout the city, while the Karo people reside around southern areas such as Padang Bulan, Medan Johor and Tuntungan. Toba Batak people reside in Marindal and Amplas; a large number also live in nearby city-centers such as the Medan Perjuangan district, while the Mandailing people mostly reside in Medan Tembung. In addition, there is a large ethnic Javanese community, largely made up of the descendants of people transported from Java in the last 19th century to be employed as contract workers at various plantations in North Sumatra. They are usually known as Pujakesuma (Indonesian: Putra Jawa Kelahiran Sumatera, English: Sumatra-born Javanese). Their presence in Medan can be marked from various Javanese toponymies in Medan, such as Tanjungsari, Sarirejo, Sidodadi, Sidorejo, etc. (mostly in East Medan and Medan Tembung area). The Malays are also natives of Medan, already living in outskirt areas such as Belawan and Labuhan since the Aru era as fishermen. They came to the city after Deli Sultanate new palace was established in the 18th century. Over time, the Malays spread throughout the city with the biggest concentration of people living in Medan Maimun, Kota Matsum, Labuhan and Belawan. A highly visible component of city population is the large number of Chinese whom migrated from southern China to Deli in the 16th century with mass migration occurring in the last 19th and early 20th century for those seeking employment as planters and coolies. Now, Medan is home of the largest Chinese community on Sumatra island; they are active in business and trading activities which contribute greatly to the city economy. Unlike the Java-born Chinese, mostly Chinese people in Medan can speak fluent Hokkien, a dialect originating from Fujian, a province in southern part of China, they also has its own variation of Hokkien which known as Medan Hokkien and has the same similarity with Penang which is mixed with local language like Malay, and Indonesia. Many of them are also able to speak Mandarin, Teochew and also Cantonese which is depends on the language of their ancestors come from. The Chinese reside throughout the city, but the majority live around the city centre. The city also hosts a sizable community of Indian Indonesian, mostly are Tamil descendants who are commonly known as Madrasis or Tamilan. A well-known Tamil neighbourhood is Kampung Madras, which is located in the city center and is heralded as one of the busiest parts of the city. Other Indian ethnic are also presence like Punjabi and also Bengalis. Minangkabaus is also known as the merchants, peddlers, and artisans, in addition to white collar workers such as doctors, lawyers, and journalists. The Minang people came to Medan in the mid-19th century. In 1960s to 1980s, the number of Minangkabau people migrating to Medan surged, and formed 8.6% of the population in the city. The Minangkabaus living around Medan Denai and Medan Maimun area. Acehnese are other minority ethnicities in Medan. A significant number of Aceh people mostly came after the conflict that happened in Aceh in the late 1970s when they sought sanctuary. Today, they are known working as merchants such as grocery store operators and can be found in Mie Aceh restaurants around Setia Budi and Ring Road/Sunggal areas. Medan is one of the most ethnically diverse cities in Indonesia. There are large adherents in all four major religions of Indonesia in the city. Many houses of worship from every faith can be found easily in every corner of the city. Muslims constitutes almost 60 percent of all residents; most of those who follow Islam are the Malay, Javanese, Minangkabau, Mandailing, Acehnese and small community of other sub-Batak ethnics and Indian. Mosques and Halal food are quite easy to find anywhere around the city. Christianity is the second largest religion, constituting around 28 percent, most are Protestants and the remainder (around 7 percent out of all Christians) are Catholics. The most known Christian followers are the Bataks (Toba, Karo, Simalungun, Pakpak) and Nias while the rest Christians are Chinese, Indian, and Javanese community. The HKBP, GBKP and Methodist are the biggest Christian denominations in Medan. Buddhism formed around 10 percent, with the Chinese being the largest group of followers. Most Buddhists in Medan follow Mahayana Buddhism. The followers worship Buddha, Maitreya and also Avalokitesvara. Hindu is the 4th largest religion at around 2.15 percent. The Indonesian government does not include Sikhs as an official religion, but the majority of the Indians who are living in Medan are followers. Hinduism in Medan is quite different from other parts of Indonesia where the branch is the Balinese version of Hinduism and the major Gods worshipped include Murugan, Shiva, Mariamman and Krishna. The last registered religion in Medan are Confucianism or in Indonesian known as Konghucu, mostly adherent are the Chinese, the Taoism and Chinese Folk religion are also including as Confucian in ID Card, Confucius, Mazu and Guandi are the most worshipped God and Goddesses for this religion. Medan has already grown to become one of the largest metropolitan cities in Indonesia and become the center of growth in the province of North Sumatra. Now the city is an important commercial and economic hub of Indonesia. Locals, as well as many foreigners have set up their business to take advantage of its dynamism and boost its economy. Medan's economy was mainly based on tobacco, rubber, tea and coffee culture and production, but growing manufacturing sector such as automotive assembly, production of machinery, tiles, etc., also currently contribute to the city's economy. Medan is one of the most industrious city in Sumatra, consisting of many small, medium and large-scale enterprises. Because of its location and its proximity to Singapore, it functions strategically as the main gateway for trading of goods and financial services on domestic, regional and international levels in the western region of Indonesia. Many international companies maintain offices in the city, namely Asian Agri, London Sumatra, Musim Mas, Philips Lighting, Toba Pulp Lestari, Marriott, ABB Group and DBS Bank, etc. Medan is one of Indonesia's most promising property markets outside Java, and several high-value developments have transformed its property market – and skyline. Many of the country's big property developers are building condominiums, hotels, office towers and shopping malls in the city. 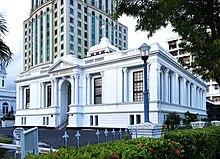 The North Sumatra Museum is located approximately 4 kilometres (2.5 miles) to the south from the center of the city, which is in Jalan HM. Joni 15 Medan. The Minister of Education and Culture Dr. Daoed Joesoef opened north Sumatran museum in April 1982.This museum is open on: Tuesday – Thursday (08.00 – 16.00) Friday – Sunday (08.00 – 15.30) and Closed on: Monday. This museum gives a lot of information about ethnic and cultural which exists in North Sumatra, including history and stories of the museum. Some activities that can be done in this museum are: photographs and studying and learn about culture and the object of the North Sumatran history. The Bukit Barisan Museum is a military museum opened by Brigade General Leo Lopulisa on 21 June 1971. This museum is located at 8 Jalan H. Zainul Arifin, Medan. It houses several historic weapons include weapons that were used in the struggle for independence and the revolt in North Sumatra during 1958. In this museum we could see several motives/ painting of the revolt against the Netherlands. Rahmat International Wildlife Museum & Gallery or more known as Rahmat Gallery, opened in 1999 and is chiefly the most incredible global taxidermy collection in the city, including various collections of wildlife, located on Jalan Letjen S. Parman No.309. Because of its multiculturality, Medan has a wide variety of cuisines ranging from local, western, east and southern Asian, and middle eastern cuisine. The city also hosts a lot of cafes, restaurants, food centers and street vendors with varying price points. Nelayan is one of the famous restaurants in Medan, serving halal-Chinese seafood and dim sum. Garuda is the most popular Minangkabau and Malay restaurant in Medan which serves nasi padang and gulai, Cahaya Baru is an Indian restaurant located on Kampung Madras with chapati and tandoori as its most recommended food. The most visited Bataknese restaurant are OnDo Batak grill and Tesalonika known best for their babi panggang (Grilled pork) and Saksang. This city is known as the culinary heaven of Indonesia, as Medan is prominent for its street hawkers which offers a great variety of cheap local delicacies. Medan has several well-known culinary spots such as Jalan Selat Panjang and Jalan Semarang for Chinese food, Jalan Pagaruyung for Indian and Malay food and Jalan Padang Bulan for Bataknese food. Merdeka Walk is the first tensile structure (alfresco outdoor concept) in Indonesia, filled with a variety of cafés and restaurants. Durian is a popular fruit in Indonesia and nowhere more so than in Medan. This thorny fruit, with its distinctive taste and smell, is available all over the city. Ucok Durian along Jalan Iskandar Muda is the most known durian seller in the city. Soto Medan is a savoury stew made with various meats (including innards) that are fried beforehand, and coconut milk. It is usually served with rice and a piece of potato croquette (perkedel). Bika Ambon is a famous local dessert. 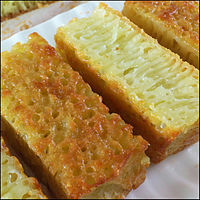 Made from ingredients such as tapioca flour, eggs, sugar, yeast and coconut milk, Bika Ambon are generally sold in pandan flavour, although other flavors such as banana, durian, cheese, chocolate are also available. Tau Kua He Ci (豆干虾炸), also known as Lap Choi (腊菜), is local Chinese version of Rojak but made with fried prawn, vegetables and tofu with chlli sauce. Its other name also called as. Teng-Teng (丁丁) is a candy made with peanuts. Dried fruits and many unique cuisines can be found in Pasar Rame, which operates every day from morning to afternoon, located just beside Thamrin Plaza. Bolu Meranti is the most famous homemade Swiss roll in Medan, which are frequently bought by local and international tourists as a souvenir. The Medanese dried anchovies also is one of a "must" souvenirs from Medan, could be bought from Pusat Pasar (Central Market). There are many old buildings in Medan that still retain their Dutch architecture. These include the old City Hall, the Medan Post Office, Inna Dharma Deli Hotel, Titi Gantung (a bridge over the railway), The London Sumatra building, Tjong A Fie Mansion, AVROS, Warenhuis, and The Tirtanadi Water Tower, mostly located around the old town Kesawan. There are several historic places such as Maimoon Palace built in years 1887–1891, where the Sultan of Deli still lives (the Sultan no longer holds any official power), The Great Mosque of Medan built in 1906 in the Moroccan style by the Dutch architect A.J. Dingemans,. both location of Maimoon Palace and The Great Mosque are close. The Mosque located on Jalan Sisingamangaraja and The Palace located on Jalan Brigjen Katamso. Gunung Timur Temple or locally known as Tông-Yuk-Kuàng in Hokkien, is a city's oldest Taoism temple, located on Jalan Hang Tuah. Medan has a Buddhist temple named as Maha Vihara Maitreya, and there is also a Buddhist centre nearby named as Maha Karuna Buddhist Centre (MKBC) this temple complex known as one of the biggest non-historical Buddhist temple in Indonesia, both situated around Cemara Asri housing complex. Medan Cathedral is the oldest church in the city, was built by the Dutch and Indian community nearby, and the church was named as Indische Kerk back then, located on the old town along Jalan Pemuda. Sri Mariamman Temple is the first Hindu temple in Medan built around 1881 by The Tamil peoples in the city, located on Jalan Zainul Arifin, The City's Little India or more known as Kampung Madras, the temple has unique south Indian architecture with hundred Hindu deity statues around the building. Since 2005, a Catholic church named Graha Maria Annai Velangkanni was built with an Indo-Mogul style, devoted to Mary, this particular Saint knows its origin with an apparition in the 17th century in Tamil Nadu, India. The temple has two stories and a small tower of seven storeys, it is situated on Jalan Sakura III, besides outer ring road on Jalan TB Simatupang. Medan is one of the major shopping destinations of Indonesia, along with Jakarta and Bandung. 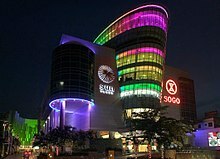 It has several markets and shopping malls offering a wide range of goods and qualities. Some of the more popular markets for tourists include Pasar Rame (Rame Market) and Pasar Petisah (Petisah Market), which specialize in selling clothing and food; and the Pasar Ikan Lama (Old Fish Market), a marketplace for traditional Islamic wear and souvenirs of Medan. Some other marketplaces in the city are Pasar Beruang, Pasar Hong Kong, Pasar Sambas and Pasar Aksara. Medan also has some modern malls. The newest and most popular among them are Sun Plaza, Centre Point, Cambridge City Square, Medan Focal Point, Hermes Place Polonia, Ring Road City Walks, The Manhattan, and Plaza Medan Fair. The oldest malls are Thamrin Plaza, Medan Mall, Medan Plaza, Yang Lim Plaza, and Yuki Simpang Raya. The upcoming malls in Medan are Podomoro City Medan, and Metrolink Trade Center. There are some theme parks in the city or outside city, most of them are water park. HillPark GreenHill City – the latest theme park 1 hour from Medan on the way to Berastagi. Pantai Cermin Themepark – the first and only water theme park in North Sumatra, located in Cermin Beach, Serdang Bedagai. The theme park is organized by a Malaysian Investor and the Local Government. Wonder Water World – latest waterpark in Medan, located on Central Business District (CBD) Polonia. Hairos Water Park – another waterpark near the city, located on Jalan Djamin Ginting Km.14, Deliserdang. Medan is connected by road, air, rail and sea. There are not many options for public transport within city and intercity. The new Kualanamu International Airport (KNO) was opened to the public on 25 July 2013. The new airport is the second largest airport after Soekarno-Hatta International Airport with a 224,298 m2 (2,414,324 sq ft) passengers terminal and will eventually have a capacity of 50 million passengers (2030). It is the first airport in Indonesia which has direct rail links to the city. The airport is the hub for Garuda Indonesia, Indonesia AirAsia, Lion Air, Susi Air and Wings Air. The new airport is a replacement for the Polonia Airport. Unlike the old Polonia Airport which was located in the heart of the city, this new airport is approximately 39 km (24 mi) from downtown. The airport has direct domestic flights to many major cities in Sumatra and Java. There are also some international flights to Malaysia, Singapore, Thailand, Saudi Arabia, Sri Lanka, etc. An airport train known as Kualanamu Airport Rail Link Services connects the airport to city center. The train runs from Medan Main Station beside the Merdeka Square at Jalan Balai Kota from 4:00 a.m. to 08:00 p.m, and from the airport from 5:25 a.m. to 9:30 p.m. It is the fastest way to reach the airport from the city, taking 30 minutes. Alternate modes of transport from the airport into the city may take longer (30 to 47 minutes). The Port of Belawan (Pelabuhan Belawan) is the main seaport in Medan. Located in the northeast coast of Sumatra, Belawan is situated 12 miles (19 kilometres) north of Medan city and serves as a port, which is the terminus of a railway that crosses the channel south of the island by bridge. The port was initially built in 1890 to provide a location where tobacco could be transferred directly between rail lines from the interior and deep-draft ships. The harbor expanded in 1907 with the construction of a new section intended for Chinese and indigenous traders, reserving the existing port for European shipping. In the early twentieth century the port's business expanded, with the growth of major rubber and palm oil plantations in northern Sumatra. In the 1920s several major berthing facilities were built. In 1938, the port was the largest port in the Dutch East Indies, in terms of cargo value. Cargo volumes dropped substantially after Indonesian independence, and did not reach pre-independence levels again until the mid-1960s. A major restructuring in 1985 saw the construction of a container terminal; it almost immediately captured about one-fifth of Indonesia's containerized exports. Major products exported include rubber, palm oil, tea, and coffee. There are two port terminals, one for passenger and ferry services to Penang and Langkawi and some Indonesian cities such as Batam, Jakarta and Surabaya. Another terminal known as Belawan International Container Terminal (BICT), used for export and importing services. BICT is one of the largest shipping industry port in Indonesia. Medan is connected by the Trans-Sumatran Highway, the main road across Sumatra, and the Belawan-Medan-Tanjung Morawa Toll Road, also known as the Belmera Toll Road, the one and only available toll road in Medan, connecting Belawan, Medan and Tanjung Morawa. Currently there are additional toll roads under construction which will connect the city to the airport, Binjai, and Tebing Tinggi. Railway lines connect Medan to Binjai and Tanjungpura to the northwest, to port of Belawan to the north, to Tebing Tinggi and Pematang Siantar to the southeast, and also Rantau Prapat among other cities. The largest train station in Medan is Medan Station. There are also smaller stations in Medan, such as Medan Pasar, Pulu Brayan, Titi Papan, and Labuhan, and Belawan. Titi Papan and Pulu Brayan only serve as the stop for freight trains carrying oil palm and petroleum. There are also have express train connecting to another North Sumatra cities such as Tebing Tinggi, Pematang Siantar, Tanjungbalai, and Rantau Prapat. An elevated railway is being constructed over several rail lines around Medan to avoid level crossings and reduce traffic congestion. The Kualanamu Airport Railink Services train is an airport express train connecting from Medan Station (City Railway Station – CRS) to Kualanamu International Airport Station (Airport Railink Station – ARS), operated 18 hours (from 5 am to 11 pm) with 30-minute distances. An elevated railway is under construction to make this airport rail service 15-minute distances. The CRS provides with a city check-in services for selected airlines. One of the unique features of Medan are the motorized rickshaws known as Becak Motor (Bentor) or Becak Mesin, although bicycle rickshaws are also available. Becaks are found almost everywhere. Unlike the Javanese rickshaws, the driver sits on the right side of the vehicle, and can take its passenger anywhere in the city. The fare to ride a becak is relatively cheap and is usually negotiated beforehand. There are also more public transport like taxis, but minibuses known as Sudako or Angkutan Kota (Angkot) are used more often by the locals. Angkots can be found easily in medium-to-high congested roads. Angkots follow their own route numbers, usually printed or painted on the vehicle itself. The routes are not explicitly listed or written, but are usually spread in a word-of-mouth basis by the locals. TransMebidang is a new bus rapid transit system in North Sumatra, Indonesia that has 2 active corridors. Medan serves several radio and TV channels, and is also home to newspapers in local and foreign languages such as Indonesian, English, Chinese, Batak, Malay and others. Medan has twelve national television stations: there are state-owned, private and local channels. RRI is the only state-owned radio in Medan, and is provided in both Indonesian and English. Several local languages are also served on the radio, such as: Kardopa Radio (in Batak language), CityRadio FM and A-Radio FM (in Chinese language) and Symphony FM (in Malay language). Medan also has several popular radio channels like Prambors FM, MNC Trijaya FM, I-Radio, KISS FM, VISI FM, Delta Fm and others. Several national and local newspapers are available in the city, with Harian Mimbar Umum as the oldest one. Other popular newspapers include Harian Waspada, Analisa, Kompas, Jurnal Medan, Berita Sore, Harian Global, Harian Medan Bisnis, Posmetro Medan, Suara Indonesia Baru, and Tribun Medan. There are also some Mandarin language newspaper such as Harian Indonesia (印尼星洲日报), Guo Ji Ri Bao (国际日报) and Shangbao (印尼商报). English newspapers like The Jakarta Post are also distributed in the city. Aplaus Magazine is one of the magazines from the city, published monthly and focuses on food, travel, inspiration. The magazine is the pioneer of a local magazine that specializes in the discussion of urban lifestyle. First published in 2005, Aplaus Magazine is managed by Analisa Daily, a newspaper with a circulation of 65,000 copies in North Sumatra. Football is one of the more popular sports in Medan, with five local clubs: PSMS Medan, Medan Jaya, Medan Chiefs, Bintang PSMS and Medan United; and a basketball club named Angsapura Sania. Another locally popular sport is Wushu, with significant growth in recent years as one of the favorite sports in Medan. It has its training center in Jalan Plaju in heart of town. Medan has recently seen much success in Wushu nationally and internationally. Medan has a multi-purpose stadium named Teladan Stadium. This stadium is used mostly for football matches, and serves as a home stadium for PSMS Medan. As the largest city outside Java island, Medan provides more than 827 registered elementary schools, 337 middle Schools and 288 high schools, including state-owned, private, religious and foreign schools. Some notable schools are: Sutomo School, Chandra Kusuma School, Medan Independent School, Prime One School, Telkom Sandhy Putra Vocational School, St. Thomas School, Yayasan Pendidikan Shafiyyatul Amaliyyah, SMA Negeri (state high-school) 1,2,3,4, etc. Pelita Harapan University and others. Medan was previously the site of the Medan Japanese International School or Medan Japanese School (メダン日本人学校, Indonesian: Sekolah Internasional Jepang, Medan), an overseas school for Japanese children. It was affiliated with the Japanese Consulate General in Medan, and occupied a 481.88-square-metre (5,186.9 sq ft) building on a 1,880-square-metre (20,200 sq ft) property. It originated as a supplementary school in the consulate's library that opened in April 1972 (Showa 49). A committee to establish a new day school was created in 1978 (Showa 54), and in January 1979 (Showa 55) the school remodeled an existing building for this purpose. The school opened in April 1979. It closed in March 1998. Jalan Kesawan in the 1910s. Another old view of Jalan Kesawan. Night street view of Medan. Cityscape around Jalan Irian Barat, Medan. View of Jalan Sisingamaraja, Medan. ^ "Eldin resmi jadi Walikota Medan". 28 June 2014. Retrieved 10 March 2015. ^ "Indonesia: Sumatra (Regencies, Cities and Districts) – Population Statistics in Maps and Charts". www.citypopulation.de. ^ Feriawan Hidayat (29 March 2015). "Enam Kota Asia Paling Trendi untuk Menetap". ^ Analysis (2015). "Transport infrastructure a key part of Medan's development plans". ^ Dominik Bonatz; John Miksic; J. David Neidel, eds. (2009). From Distant Tales: Archaeology and Ethnohistory in the Highlands of Sumatra. Cambridge Scholars Publishing. ISBN 9781443807845. ^ Juraidi (23 August 2008). "Menelusuri Jejak Kerajaan Aru". Kompas.com (in Indonesian). ^ "Museum Kota Cina, Situs Awal Perdagangan Penting di Pantai Timur Sumatera Abad XI". SeMedan.com (in Indonesian). 3 January 2016. ^ Repelita Wahyu Oetomo (8 June 2014). "Benteng Putri Hijau Berdasarkan Data Sejarah dan Arkeologi" (in Indonesian). Archived from the original on 28 January 2017. Retrieved 12 May 2017. ^ "Guru Patimpus: The Ancestor and Founder of Medan". iqbalrahdika. Retrieved 20 November 2014. ^ "Medan, Indonesia Köppen Climate Classification (Weatherbase)". Weatherbase. Retrieved 4 July 2015. ^ "World Weather Information Service–Medan". World Meteorological Organization. Retrieved 18 June 2015. ^ Worldwide Bioclimatic Classification System. "INDONESIA - POLONIA". www.globalbioclimatics.org. Archived from the original on 15 January 2019. Retrieved 20 February 2019. ^ "Station 96035: Kualanamu Medan". Global station data 1961–1990—Sunshine Duration. Deutscher Wetterdienst. Retrieved 18 June 2015. ^ "Badan Pusat Statistik Provinsi Sumatera Utara". sumut.bps.go.id. ^ Leo Suryadinata, Evi Nurvidya Arifin, Aris Ananta, Indonesia's Population: ethnicity and religion in a changing political landscape, Institute of Southeast Asian Studies, 2003. ^ "North Sumatra Museum". Indonesia Tourism. Archived from the original on 10 January 2015. Retrieved 19 November 2014. ^ Gunawan, Apriadi (30 March 2011). "A glimpse of wildlife in Medan museum". The Jakarta Post. Archived from the original on 5 March 2016. Retrieved 8 September 2015. ^ "Medan: Entry Point to North Sumatra". Indonesia.travel. Archived from the original on 26 October 2014. Retrieved 19 November 2014. ^ Annai Velangkanni. "Marian Shrine Of Annai Velangkanni". Retrieved 4 July 2015. ^ "All systems go for Medan". TTGmice. Archived from the original on 5 February 2013. Retrieved 11 December 2012. ^ "Belawan". britannica. Retrieved 19 November 2014. ^ "Port of Medan/Belawan". seaport.homestad. Retrieved 19 November 2014. ^ Siregar, Wahyudi Aulia (13 July 2017). "Semester II-2019, Jalur Layang Kereta Api di Medan Beroperasi : Okezone Economy". Okezone (in Indonesian). Retrieved 6 December 2018. ^ a b "学校の概要" (School Outline). Medan Japanese School. May 15, 2001. Retrieved on January 13, 2019. "施設概要 敷地面積 １，８８０ｍ２ 校舎延べ面積 ４８１．８８ｍ２"
^ "メダン日本人学校の歴史" (History of the Medan Japanese School). Medan Japanese School. April 21, 2001. Retrieved on January 13, 2019. "昭和４９年度 ４月 補習授業校開 （在メダン総領事館図書館内）"
^ Home. Medan Japanese School. April 10, 2001. Retrieved on January 13, 2019. "１９９８年３月。メダン日本人学校は休校となります。"
^ a b c d e "Medan Menjalin Hubungan Kota Kembar Keempat". Archived from the original on 23 April 2007. Retrieved 10 September 2013. ^ "Sister Cities – General Information – Gwangju Info :: Welcome to Gwangju Metropolitan City". Archived from the original on 4 July 2014. Retrieved 4 July 2015. ^ "City will host Indonesian sister city signing ceremony Thursday" (online magazine, press release). onMilwaukee.com. 28 October 2014. Retrieved 16 November 2014. 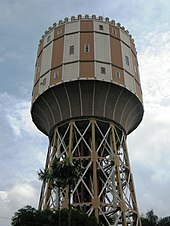 Wikimedia Commons has media related to Medan.